Many times in my life, I’ve taken the high road, the crossroad, and the road less traveled by. But one of my best travels recently was a gastronomic journey to Canton Road. Canton Road is the in-house Chinese restaurant of Shangri-la at the Fort in BGC. The fine-dining restaurant specializes in contemporary Cantonese cuisine that takes traditional dishes to a whole new level. 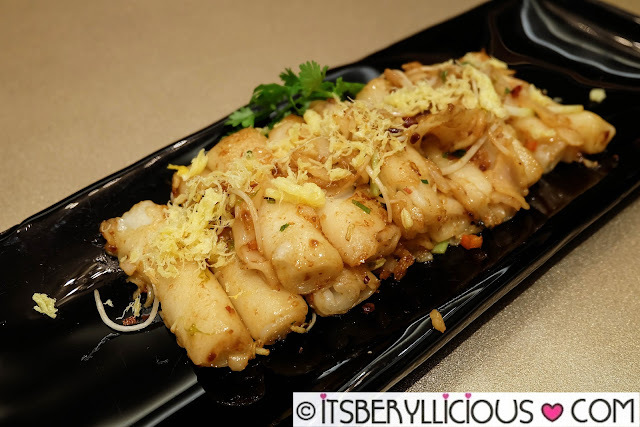 Inspired by the mild and sweet flavors of Huaiyang cuisine, Canton Road offers a refreshing take on the usual bold and rich flavors of Chinese-style cooking. 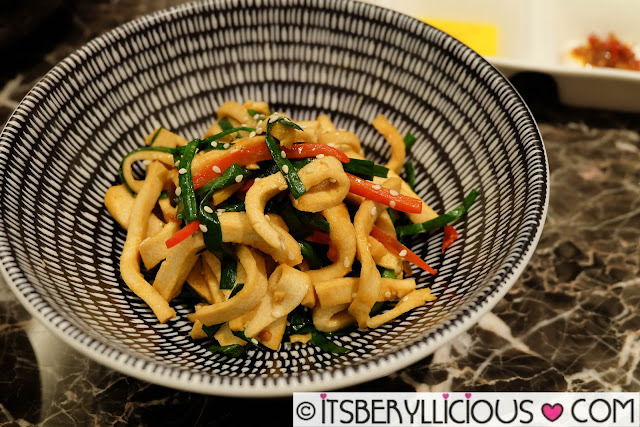 I was invited to a lunch preview of Canton Road's new menu, and for someone who loves Chinese food, I just couldn't say no. 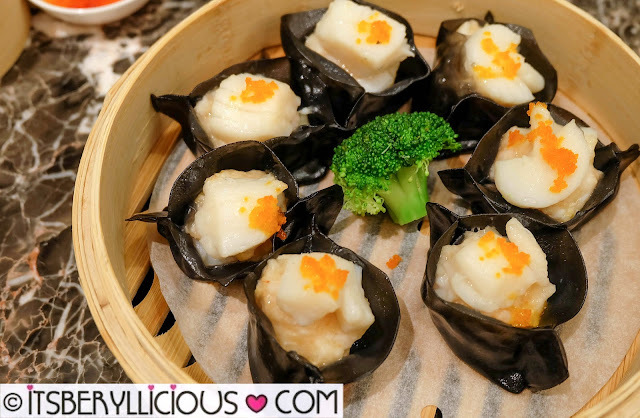 Add the fact that one of my favorite Chinese food is dimsum, which apparently was made popular by the Cantonese in Southern China. 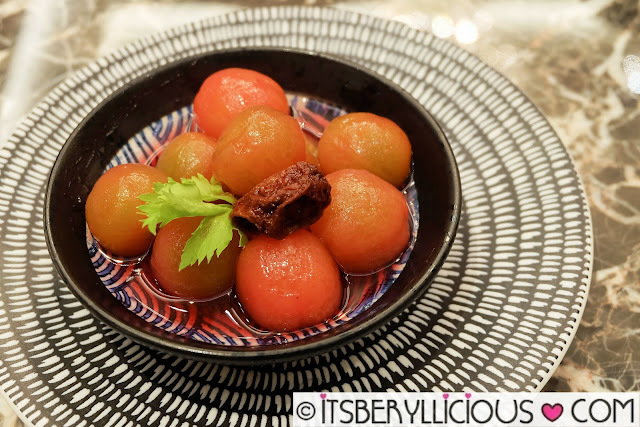 Garlic Tossed Dried Bean Curd, Spicy Green Papaya and Pomelo Salad, Chilled Cherry Tomato infused in Osmanthus Sauce, 24-hr Marinated Salted Duck. 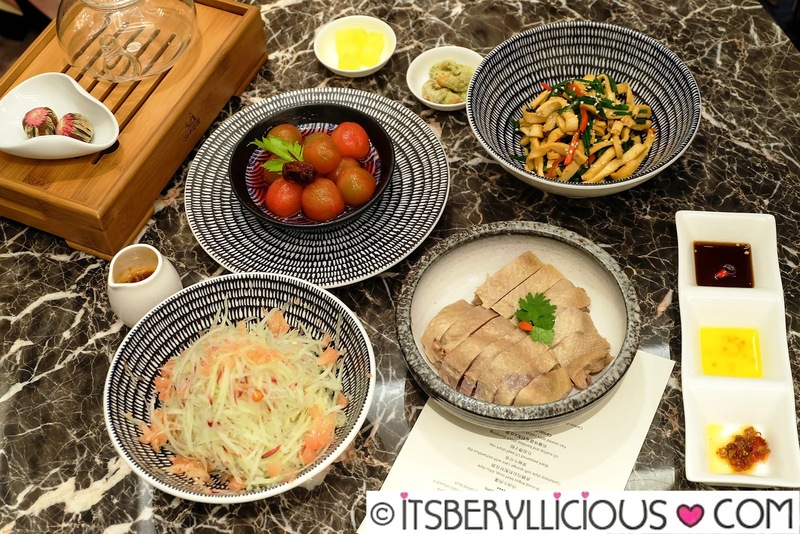 While I still prefer the traditional Chinese cold-cuts platter, this was a light and refreshing take on the classic appetizer set. It characterizes the distinct style of Huaiyang cuisine that preserves the sweet, delicate and natural flavors of ingredients. My favorites were the 24-hr Marinated Salted Duck and the Garlic-tossed Dried Bean Curd. 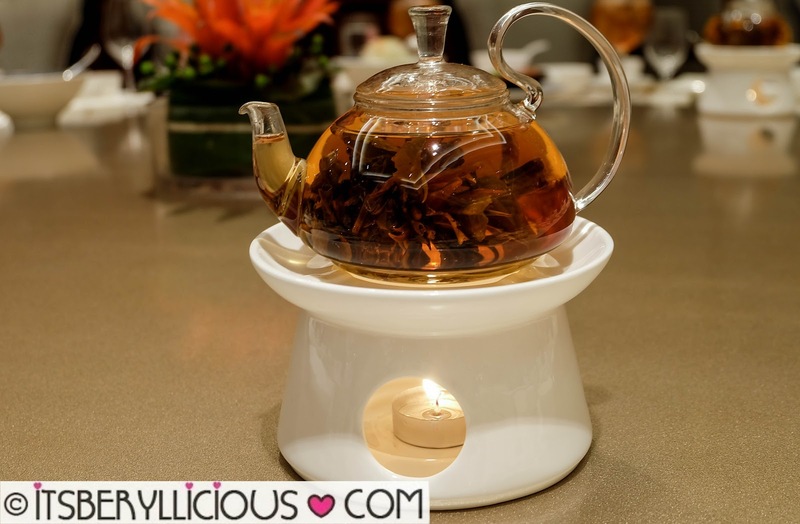 Our starters were complemented by a hot tea of Jasmine Blossoms with light floral notes. 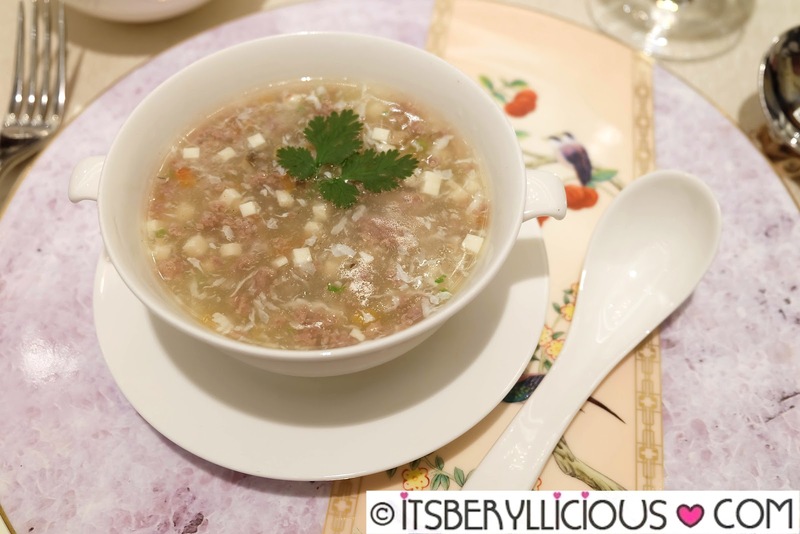 For soup, we were served with a bowl of Brasied Angus Beef Soup, Xihu-style. The soup was thick and meaty, but the addition of cilantro gave it an aromatic and light refreshing flavor. 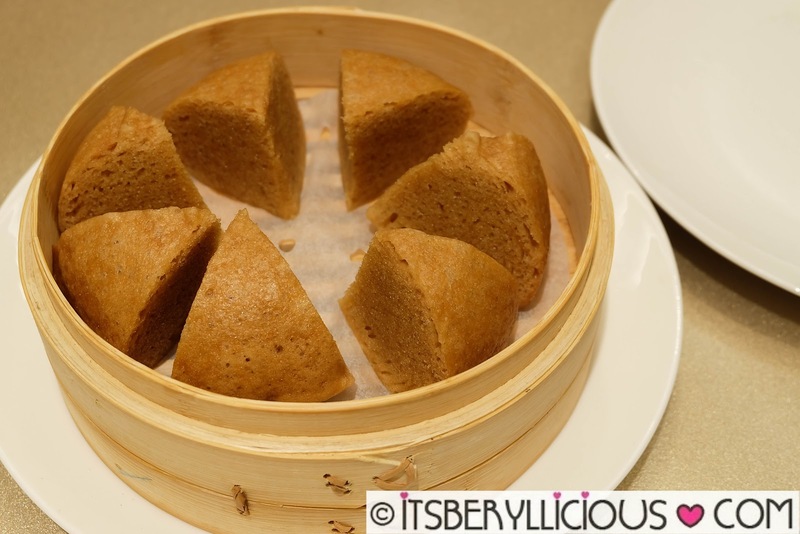 The simple yet delicious Cantonese Style Soft Sponge Cake was fluffy and sweet, complemented by a tangy lemon sauce. I normally eat the classic Malay sponge cake as it is, but surprisingly, it went pretty well with the dip. Black Peppered US Beef Short Ribs. 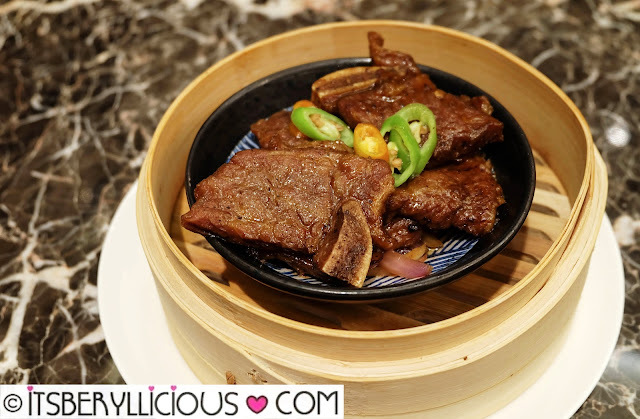 These soft and tender beef ribs were a nice alternative to the classic dimsum favorite of pork spareribs. Instead of the usual siomai or hakaw, we were served with a dumpling of scallop and bamboo shoot. 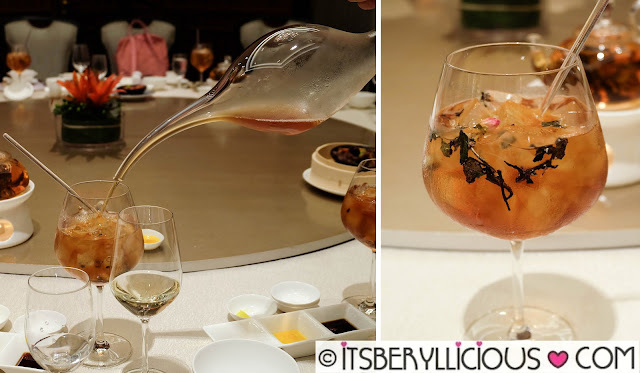 The first batch of dimsum was paired with a cold and refreshing glass of Canton Garden Iced Tea. 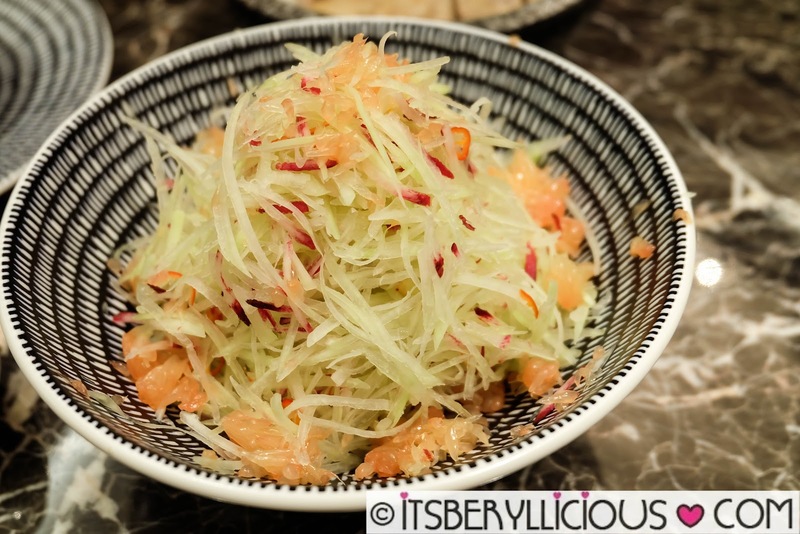 It was very light and clean tasting, which also doubles as a palate cleanser for the next coming dishes. The second set started light with the Canton Road-style Steamed Signature Xiao Long Bao. 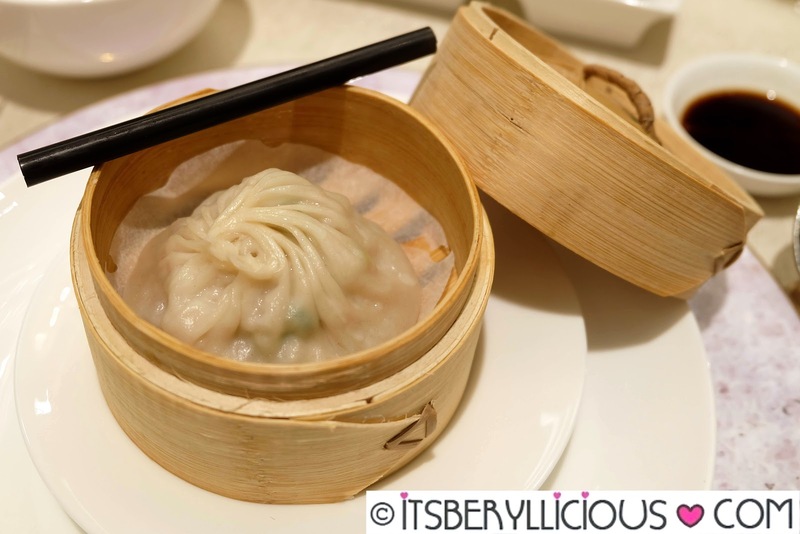 It came in a personal-sized dimsum basket with matching straw which I felt was no longer needed. The soupy dumpling was bigger than usual, so I enjoyed the extra amount of tasty broth inside. 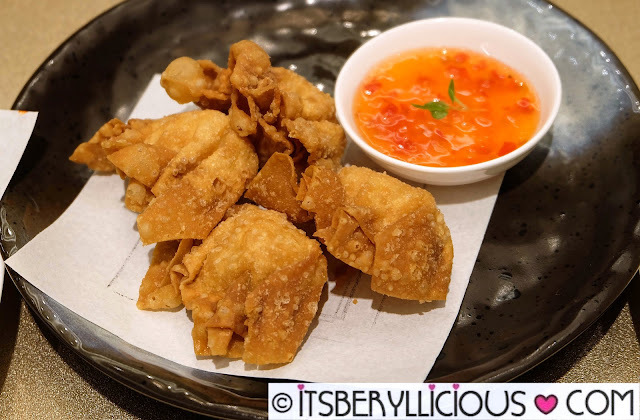 Moving on to the fried items, the Fried Shrimp Wonton was extra crunchy served with a sweet and spicy sauce on the side. 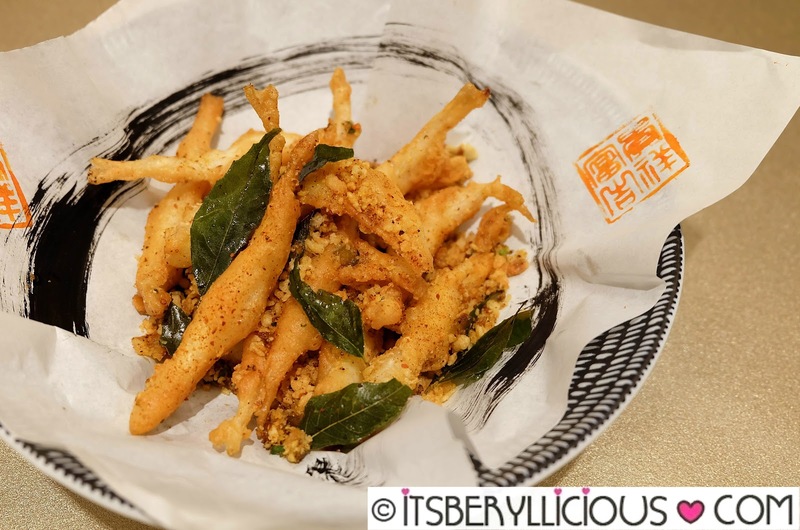 The Deep Fried Spicy Anchovies and Crispy Garlic was something I've never had before. It was perfectly seasoned and highly addictive with its crunchy batter coating. 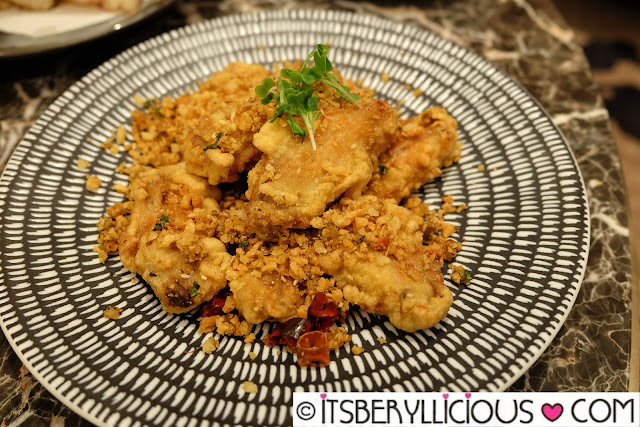 The Garlic Marinated Free Range Chicken Wings was cooked Bi Feng Style or typhoon shelter style with fried garlic, scallions, and chilies. 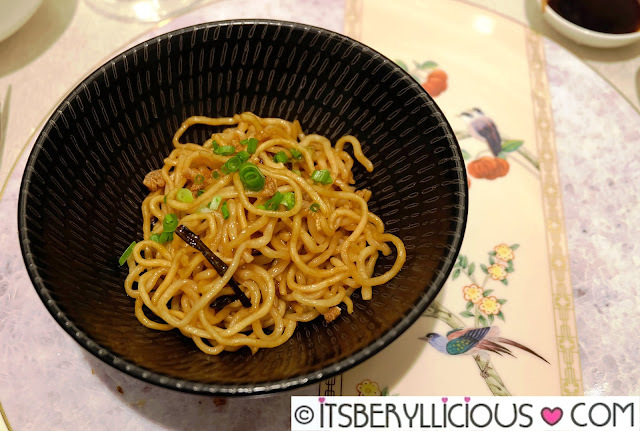 The noodles were the last dishes to arrive, and while I was so full from everything we had, I still managed to finish this tasting portion of the La Mian Noodles and Dried Shrimp infused in Shallot Oil. Albeit plain and simple, the noodles were very flavorful and tasty especially with dried shrimp pieces. 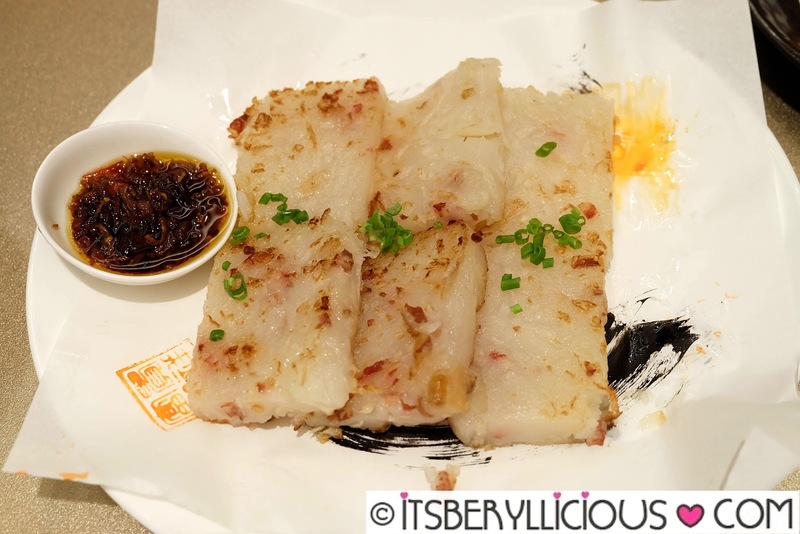 The Stir Fried Rice Noodle Roll, Bean Sprout in XO Sauce, on the other hand, lacked the flavor I was looking for. It was tasty on the outside, but a bit bland on the inside. These dishes were paired with a fragrant Wild Chrysanthemum Tea that reminded me of the chrysanthemum powder mix we drank while growing up. Finally, comes the dessert. 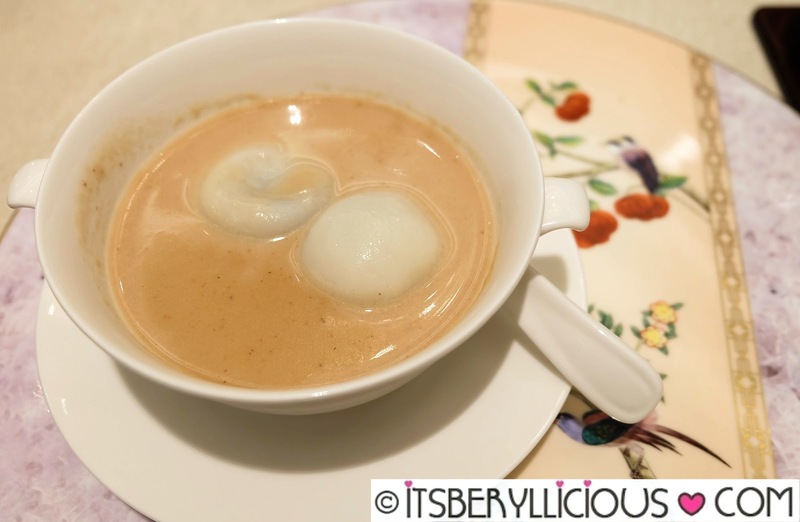 The Walnut Soup with Black Sesame Glutinous Rice Balls was a nice break from the usual dessert of mango sago and sesame balls. 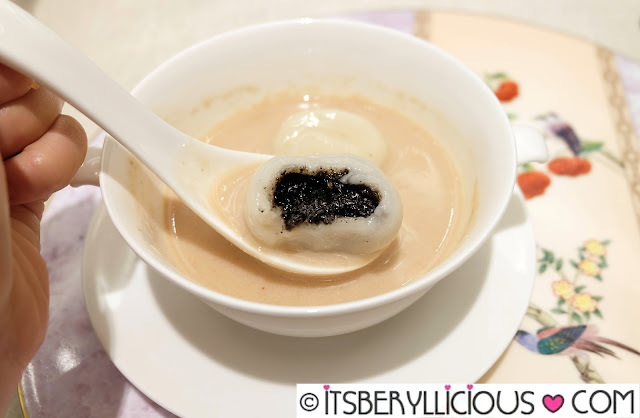 I enjoyed the walnut soup, but wasn't a fan of the black sesame glutinous balls with its earthy aftertaste. Nevertheless, the mochi dumplings were soft and chewy filled with the sweet black sesame paste. Lastly, we had a cup of Tieguanyin Classic tea, characterized by rich and full-bodied flavors of oolong, to neutralize the palate. It was a fun-filled feast of food and laughter as everyone enjoyed the lunch at Canton Road. 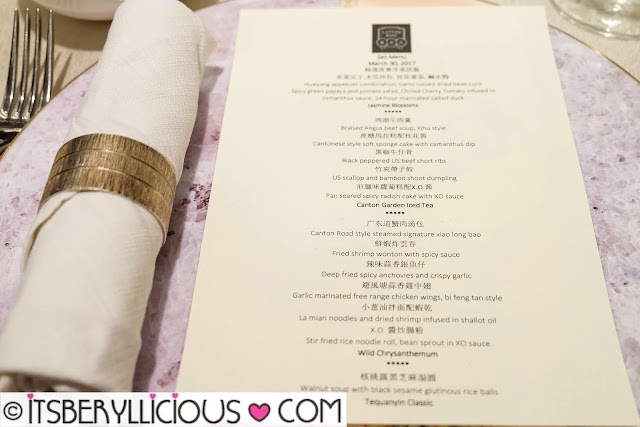 We were hosted at one of the restaurant's private rooms, with elegant setup and decors, fully equipped with its own restroom and designated servers. 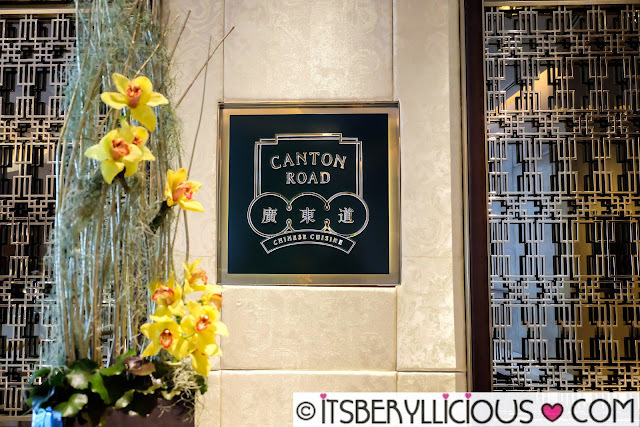 Canton Road will be rolling out their new dishes this April so make sure to drop by Shangrila at the Fort for some contemporary Cantonese delights after the Holy Week.